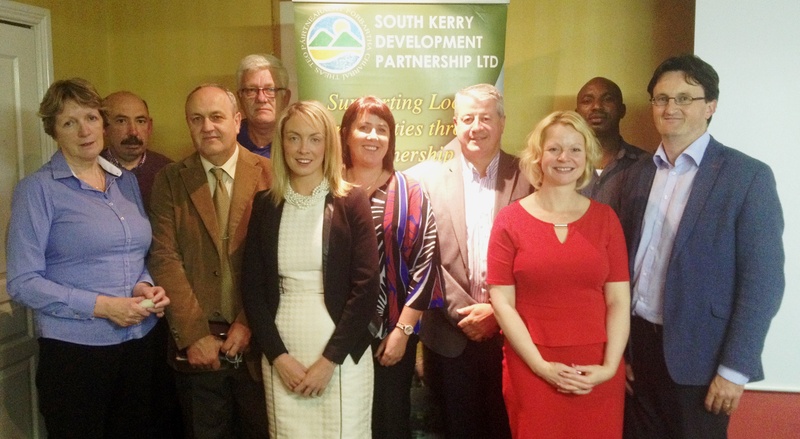 skerry – South Kerry Development Partnership CLG. South Kerry Skillnet – Help us to help you! We in South Kerry Skillnet aim to provide the highest levels of training and up-skilling to Companies in the region and the network is currently performing extremely well. In order to build on this success for 2017, we need to hear from you as to your training and skills development requirements for the next year. Therefore, I would kindly ask you to provide us with some key information through the following survey https://www.surveymonkey.com/r/6QM39K2 and help us continue to help you. SKDP are hosting a public information meeting for residence of the Cromane area on Wednesday 7th September at 8.30pm. The Development Strategy for County Kerry, on which the new LEADER programme for the county is based, is now available for download. The three Local Development Companies (LDCs) in Kerry have acknowledged the signing of the LEADER 2014-2020 contract for Co. Kerry by Minister Humphries, LCDC Chairperson Norma Moriarty and Kerry County Council CEO Moira Murrell last Friday but have pointed out that the programme is still not ready to be rolled out. Minister Humphries signed the contract on 8th July 2016 and the programme will be implemented in Kerry by NEWKD, SKDP and IRD Duhallow in conjunction with the Local Community Development Committee (LCDC) and Kerry County Council. Speaking following the signing, the three LDC’s CEOs said that while the contract is now in place, the Department has yet to finalize a number of programme operational issues, meaning that it is unlikely the programme can be launched locally until the autumn. The new programme will also see significant changes in the way the LEADER programme is rolled out in the county in addition to the significantly reduced budget available for applications under the new programme. Speaking following the contract signing, IRD Duhallow CEO Maura Walsh said that the three implementing partners for the new round of LEADER funding – NEWKD, SKDP and IRD Duhallow – have an extensive track record in successfully delivering rural development programmes for more than 20 years. “We, as community-led organisations, will continue to work with groups in our area to ensure the new programme supports economic, community and environmental development in our three areas” Maura said. Eamon O’Reilly, CEO of NEWKD cautioned however that while the level of interest from both the business sector and community & voluntary organisations is very strong, unfortunately there is a much reduced budget under the new programme. “Kerry had some €25m in funding available under the last programme while the current allocation for the county is just €10.2m under this new LEADER round” Eamon noted. He said that this will clearly impact on the number of projects that will be able to supported this time around. In addition to the reduction in funding, there will be significant changes to the application process under the new programme CEO of SKDP Noel Spillane pointed out. “The details of how this will work are still being finalised but the implementing partners in Kerry will continue to engage fully with both the community and business sectors to ensure they are fully aware of the new arrangements for accessing LEADER support” Noel concluded. Three core themes, Economic Development, Enterprise Development & Job Creation; Social Inclusion and Rural Environment will be targeted under the new programme under which there are a total of nine sub-themes. 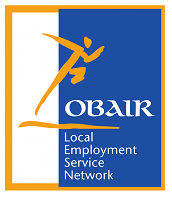 Excellent supports are available through a number of different organisations for businesses in South Kerry. This was the message from a number of speakers to the large attendance at the South Kerry Back to Work Enterprise Allowance (BTWEA) networking event in Killarney last week. CEO of South Kerry Development Partnership Ltd. Noel Spillane highlighted the importance of businesses maintaining contact with the SKDP Enterprise Officers in order to ensure they have full details of the supports available to them. “In addition to the supports offered under the BTWEA programme, the new RDP Leader programme will be inviting expressions of interest later in the year and LEADER will provide grant assistance for eligible businesses to expand further and details will soon be available on the SKDP website” Noel said. Maurice Lawlor of the Department of Social Protection re-iterated the point that extensive supports are available to businesses but he highlighted the need for people to have a sustainable business idea in order to be able to avail of such supports so the business can survive beyond the support the scheme gives. “It is a big step to take starting your own business and you should be congratulated and encouraged for taking it” Maurice said. Maurice outlined the range of supports that the Dept. of Social Protection can provide to those businesses established through the BTWEA and to employers who recruit those who are long term unemployed. Aoife O’Reilly of South Kerry Skillnets highlighted the range of training supports that are available to businesses and the advantages of undertaking such training. “This subsidised training can help provide both you and your staff with key skills to enable your business grow and expand into the future and such training can be arranged to suit your specific needs” she said. Heidi Grimwood of TOA Digital Marketing reminded those present that it in general takes seven contacts with a potential customer before you actually make a sale therefore it is very important that you use as many channels as possible to get your message in front of your potential customers. “Identifying your potential customers properly is also very important as this will enable you target your message more effectively to them” Heidi added. Getting the right message to the right audience will bring the right results she said, adding that joining business networks also opens up new business opportunities. Helen Courtney Power from Killarney Credit Union pointed out that the credit union is a potential alternative to the main stream banks in terms of providing funding to businesses. “We base our decisions on your ability to pay rather than the level of shares you have in your account but we will be seeking a business plan etc. in line with what you would be expected to provide to any other potential funder or for a grant application” she said. Following the formal presentations, those present were encouraged by Noel Spillane to network with the other attendees over tea and coffee as he said it was likely many of those present were dealing with similar issues and facing similar challenges that they could potentially assist each other in resolving. It might also open up new business opportunities Noel concluded. 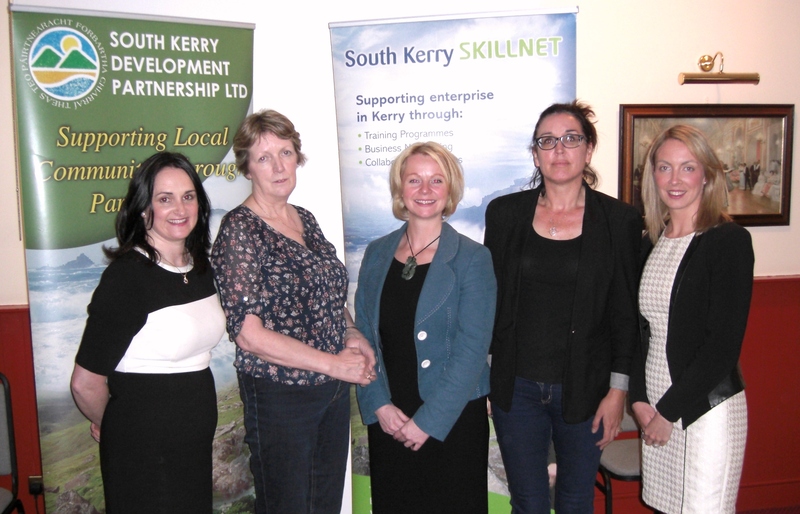 The importance for new small businesses in maintaining links with key service providers was stressed at a networking event hosted by South Kerry Development Partnership in Killorglin recently. The event was aimed at giving businesses, started up through assistance under the Back to Work Enterprise Allowance programme, the chance to meet with other entrepreneurs and to find out what potential additional supports were available to them. SKDP Enterprise Officer Anne O’Riordan congratulated all of those present on having the courage to set up in business for themselves. “There seems to be a renewed vibrancy again in the economy and these new businesses will hopefully benefit from that” Anne said. She highlighted the importance for these new businesses in linking in with all of the services available through SKDP and added that where SKDP cannot assist them, they will be referred on to the appropriate service provider to ensure they get the best possible assistance. Other speakers at the event included Suzanne Ennis from the Tralee/Killorglin Credit Union who outlined the services credit unions offer to small businesses and highlighted that as members, these businesses were in fact shareholders in the Credit Union also. Heidi Grimwood of TOA Digital Marketing stressed the importance of having a proper on-line presence for small business owners. She also noted the importance of using more direct methods of communication with customers such as e-mails as these go directly to the person’s personal mail box and thus can communicate your message more directly. Tracey Teahan of South Kerry Skillnets outlined the opportunities for small business owners to avail of reduced cost training for both themselves and their staff through the Skillnets initiative. “This training can help to greatly improve the skillset and the efficiency of small businesses” Tracey pointed out, adding that the reduced costs meant that it was possible for all small business owners to access such training in a very cost effective manner. 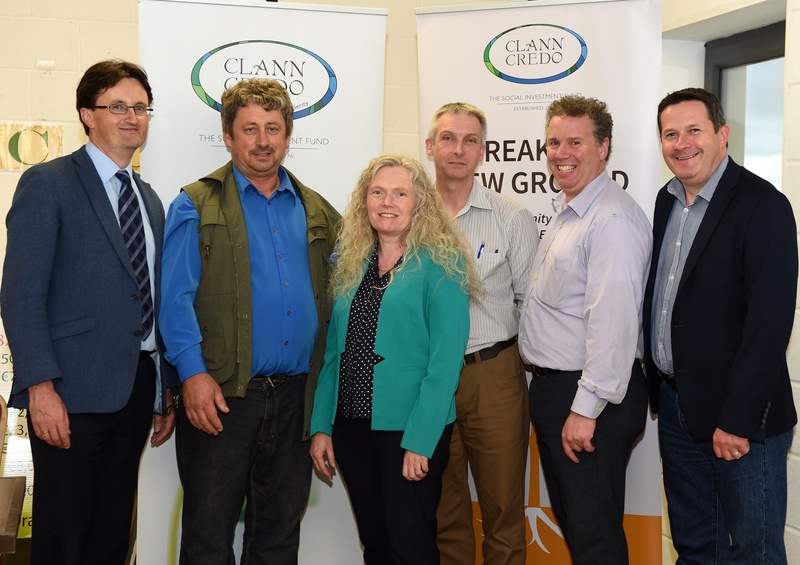 SKDP Enterprise Officer Joanne Griffin advised those in attendance of both the Enterprise Support grant and the South Kerry Development Partnership Capital Grant that are available to businesses started up with support through the BTWEA programme and SICAP funding. “These grants are only available to businesses while they are on the scheme so I would encourage all of you to plan for the future and help ensure your success through applying for the assistance available through utilising these grants” Joanne said. A large group of family and friends attended the launch of “An Independent Life”, a DVD showcasing the daily activities of a group of young adults who are supported by the Kerry Parents & Friends Association in Killarney recently. The DVD was produced by Tadhg Hayes and funded by South Kerry Development Partnership Ltd. through the SICAP programme. The 20 minute DVD gives a snapshot into the lives of the young adult participants including their involvement in the work, home and social settings. It is planned to make it widely available in the coming weeks. Instructor with the KPFA Batt Healy said they wanted to make the DVD to highlight that people with disabilities have the same yearnings around independent living and relationships as everyone else and to showcase their capacity in both working and life situations. “This DVD will help us send out the message that these young adults have the same rights and desires as their peers and we have received a very positive response to this message” Batt said. He said that approximately 25 of the young adults they support are actively engaged in paid employment, work experience or voluntary work and this helps them achieve greater levels of independence. One of the participants Anthony Jones, who is the longest serving staff member in McDonalds in Killarney having worked there two days a week for 14 years, said really enjoyed being involved with the DVD. “It is something I would love everyone to see” Anthony said. Another participant Stephen Brosnan said that it gives them a chance to show employers their skills. He also works in both Heatons and Elverys Sports in Killarney. “I also wanted it to show how relationships and friendships are important to me and that my job and the pay helps me to be independent” Stephen said. 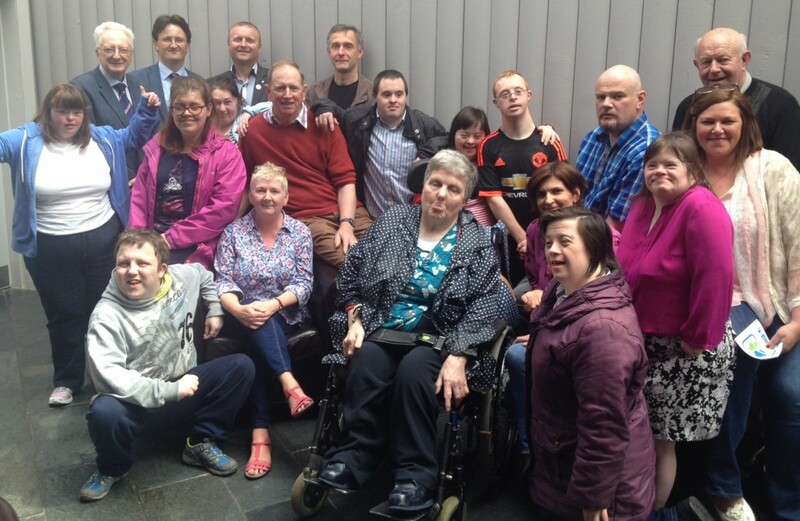 SKPD CEO Noel Spillane said the organisation was delighted to fund this project under SICAP and said that the key goal of SICAP is to promote inclusion. “This DVD highlights the ability of the participants rather than their disability and provides them with a voice to articulate their aspirations and wishes” Noel said. He added that the project was a real example of inclusion. DVD producer Tadhg Hayes said he was delighted to work on the project and chose to make it in such a way as to provide the participants with a voice to show the wide range of activities they are involved in as well as some of the challenges they face. “The KFPA staff undertake excellent work and the businesses who employ these young adults also contribute very strongly but also receive positive benefits which I felt it was important to highlight” Tadhg said. Mairead O’Sullivan, Education & Training Officer with SKDP said that this project also recognises the energy and willingness of the staff of KPFA to enable the young adults they work with to have choices in their lives like everyone else. She also paid tribute to Tadhg Hayes for his work and commitment in producing the DVD on a shoestring budget. “This DVD is a very strong tool for these young adults to showcase their skills and voice their choices” Mairead said. Copies of the DVD are available from KPFA or can be accessed through Youtube through the link https://youtu.be/gkX3UsnXOcw . A seminar on ‘Financing For Community Growth’ attracted a large attendance of Community and Voluntary Sector organisation representatives to Nagle Rice Community Centre in Milltown this Tuesday night. The event was organised by Clann Credo and supported by South Kerry Development Partnership Ltd. and was aimed at providing the most up to date information to the sector on the opportunities open to groups on topics such as accessing grant aid, loan finance and marketing of Community projects and initiatives. Among the speakers at the event were Susan Gallagher, Social Finance Executive Clann Credo, SKDP CEO Noel Spillane and Tom O’Leary of O’Leary & Associates. Susan Gallagher outlined the options available to groups through Clann Credo with regard to both bridging finance and both medium and longer term loans. She also provided them with some examples of projects in Kerry that had accessed funding through them. Clann Credo are celebrating their 20th anniversary this year. SKDP CEO Noel Spillane gave a detailed overview of the LEADER programme and how LEADER funding could support Community projects. He added that he hoped the new programme would be up and running in Kerry in September. Tom O’Leary highlighted the many opportunities to groups around fundraising including some online options to target the diaspora. He noted that groups could often benefit from seeking services from companies rather than just direct funding. 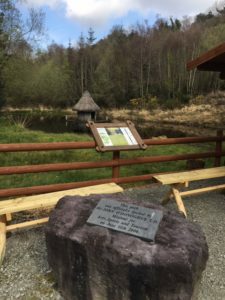 Don Myers, Chairperson of the Nagle Rice Community Centre, gave an insight into the work the Nagle Rice Community Centre Group had undertaken to bring the Nagle Rice Community Centre project to fruition. He noted that they had to cross many hurdles along the way but he said it was worth it and that they were very proud of their achievements in developing the centre. The presentations from the event are available on the links below.